I have a two page PDF document intended to be printed double-sided on A3 paper. I would like to print this on my A4 printer. However as you can see, it does not rotate the A3 page to fit across two A4 sheets, it centers the A3 page in an A2-sized page formed of four A4 sheets. I also desire that the top of the second page is printed on the back of the print of the top of the first page. Is there any way to print a double-sided A3 PDF on the front and back of two A4 sheets? How to print a large page on multiple smaller pages? You might like to test applicability of this software, Dysprosium (Dolce Edition 2015), for that goal. Click on Split tab. Brows to your PDF file. Then select "Separate Into" radio-button. By clicking on "Portrait" software cut the PDF page into two pages from the middle. The result of an A3 page in portrait will be two A4 pages in landscape. 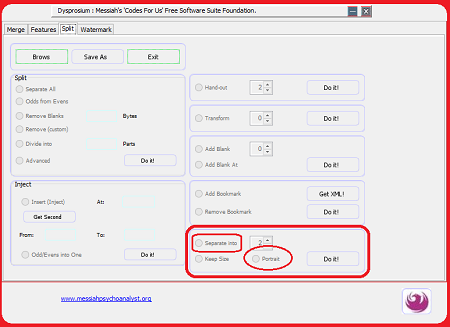 This software is free cross platform and portable in form of an executable JAR file; hence, won't install anything on your computer. You can put it in the bin if it doesn't meet your requirement. Needs Java JRE to run. There is a visual help file available. 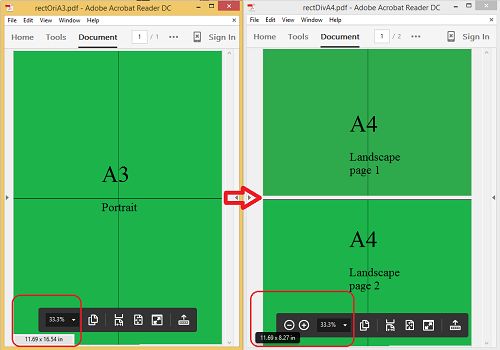 Would it work to split the A3 PDF down the middle, and just print the resulting A4 paged document? You might also need to reorder the pages in the A4 paged document to get the double sided printed result as you want it. Not the answer you're looking for? Browse other questions tagged pdf printing or ask your own question. 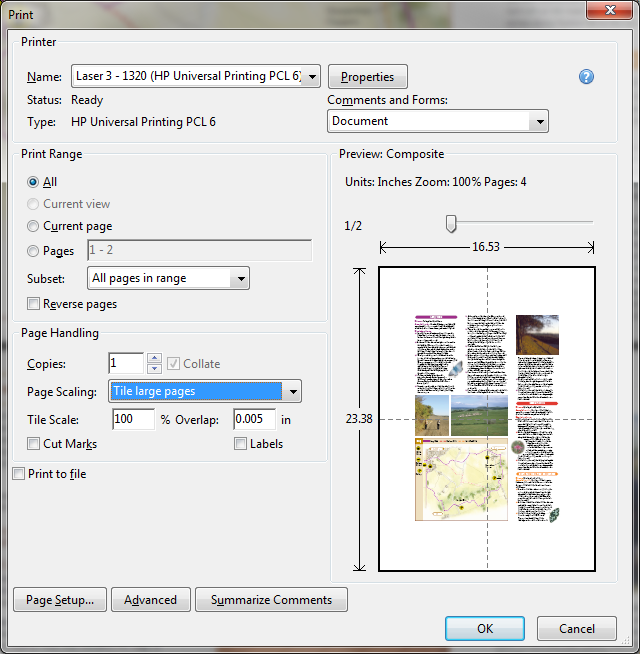 How to convert PDF to make it to be two compacted pages on side when printing? Can I position custom page size document on standard paper and plan to cut?